We want you to have the best possible experience at MERGE. With that in mind, we’ve created a checklist for your first workout. Read the following carefully and if you have any questions, please ask the trainer upon arrival. Drink water. No, coffee doesn’t count. Good old-fashioned water ok? Your body can’t function and cool itself properly without being adequately hydrated. 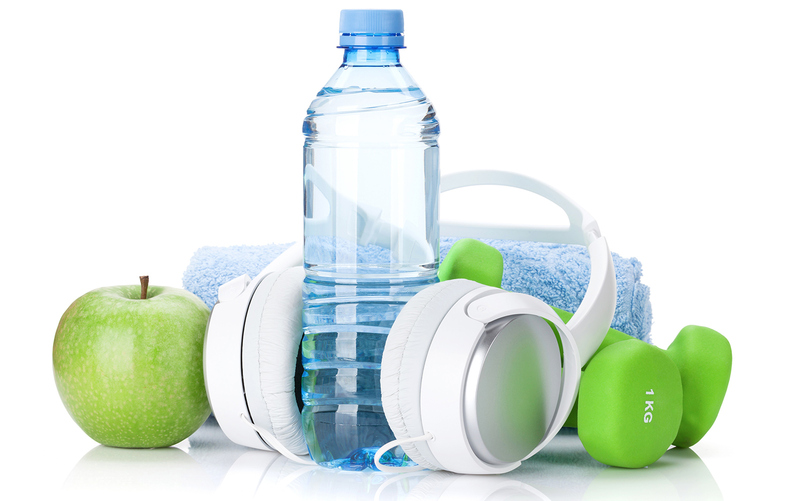 Make sure you drink water throughout the day and BEFORE arriving for the workout. We offer spring water at no charge to all workout participants in either bottled form or you can fill your own. If you’re new to an exercise program, we suggest eat a small snack 1 hour prior to your workout. It’s also a good idea to bring a good source of fuel like banana, raisins or an apple. In the event you feel light headed, a quick snack will help get things back to normal. Wear what’s comfortable. But keep in mind you’ll be rowing, riding and pushing / pulling for the entire workout. Shorts and T shirt or tank sound like a plan. For footwear, a good pair of cross trainers is recommended. We are located at 819 N La Cienega Blvd, Los Angeles CA 90069. There is plenty of street parking near the studio. Heading towards Melrose from Santa Monica Blvd, there is a public lot just 2 blocks from our location. Before your first workout, you’ll need to read and sign the NEW TRAINEE WAIVER and review the equipment safety checklist. The waiver can be found on the MERGE app. Your personal belongings are safe at MERGE! You can leave your items are your workoutstation! They’ll never be out of your site! Our AirDyne Pro bikes are the best in the business! And they’re also simple to set up. In case you’re not familiar, there are 2 adjustments on your bike that the trainer will help you adjust. Don’t worry if you’ve never been on an indoor rower. All MERGE trainers are skilled in teaching proper technique and every workout starts with a warmup. As with the rower, the trainer will review set up, use and exercise technique during each MERGE workout. All MERGE workouts are full-body routines. We suggest you speak with your doctor or a medical professional before your first workout. Remember to let the trainer know if you’re new to MERGE, an exercise program or if you an questions, concerns or needs due to an injury or medical condition. The trainers at MERGE are hand picked to ensure that you have the most productive, safe, effective and fun workout! During the workout, be sure to work at your own pace. We will motivate you to push a bit, but you must listen to your body and remember that you are always in control. Should you feel lightheaded, uneasy or in the event that an unusual pain develops, be sure to alert the trainer immediately. And lastly, have fun! Get ready to MERGE!